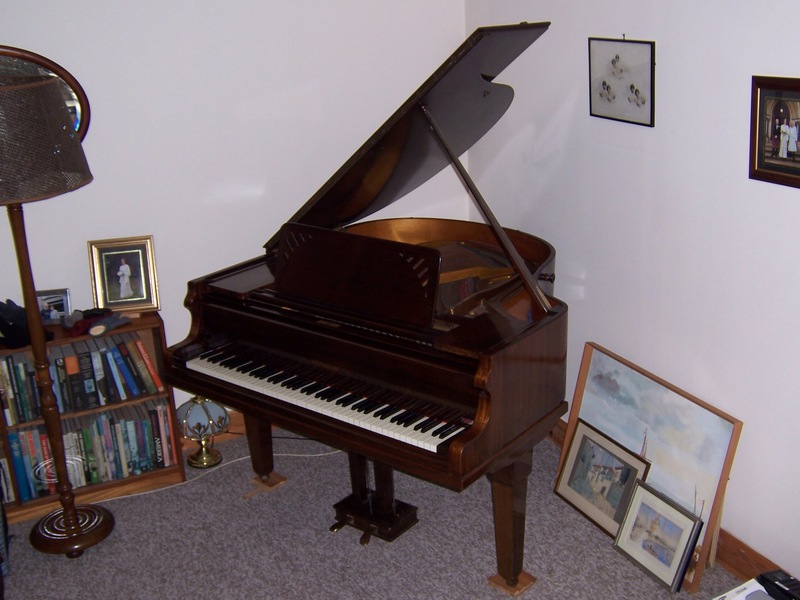 We have a Hofmann baby grand piano for sale, serial number 28719, which dates it to 1925-30. The name plate is brass inlaid, which locates it to Vienna as the place of manufacture. It is in good condition, though not perfect, with some wear in the pads. We are looking for about £500 for it, with the buyer collecting or arranging collection at their expense (from Balerno). It is available immediately and I attach a photo.